A communication from Kol of House Kor reaches all vessels in the area: he declares his disgust at what the Klingon Empire has become. No longer a distinguished entity consisting of only the best and brightest, he sees the Empire as a shadow of its former self and intends to seize control and blaze a path forged by power in the name of the House of Kor. Bridge Officer Number One (New) - this crew will be featured event crew in the event starting on 02/07. 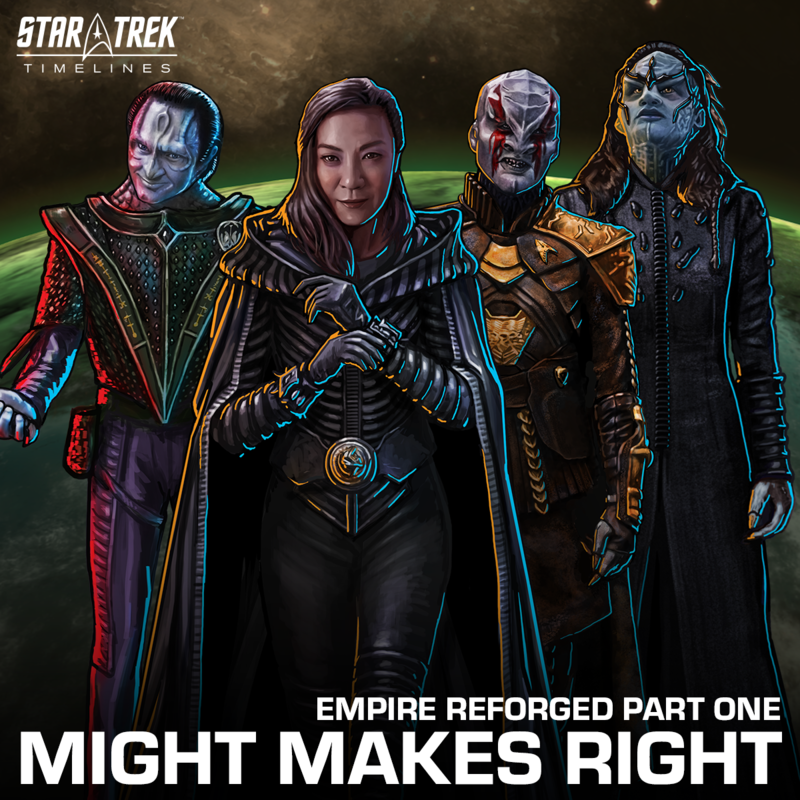 • small bonus: variants of Georgiou, L'Rell, Garak, and Discovery crew.